Pokies with an Oriental theme are pretty much guaranteed to be successful, which is probably why we see so many of them at online casinos around the world, and jumping on the trend, Aristocat have added Dragon Emperor to their range. Players won’t need to be fans of the genre to enjoy this game however, as it’s bursting with colourful images along with some crowd-pleasing features such as wild substitutions and scatter payouts, a free spins round with richer reels and a format that dispenses with regular paylines for more winning opportunities. Behind the 5 reels of this game we see an image of a vast mountain range, although it’s somewhat lacking in detail, so players will just want to concentrate on what happens in the main part, with the background image just going a little way to setting the mood. Framing the reels is an elaborate gold coloured surround, while to the sides of them, players will note that where payline indicators are usually found, there are instead 243 ways to win. This means that prizes are won whenever 3 or more of the same type of symbol stop on adjacent reels running from the left side, with their actual positions on the reels being unimportant. At the bottom of the screen is the control panel that gives players the option to set their bets from 0.30 up to a maximum of 750.00 per spin. While the lower level is determined by the ways to win format, the upper level is exceptionally high and makes this game suitable for all but the very highest rollers. 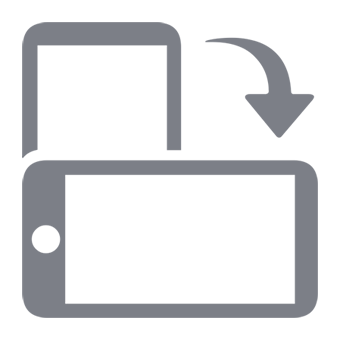 An Autoplay button allows the reels to spin on their own up to 100 times, for those players who don’t want the hassle of clicking a button with each and every spin. A payout schedule shows how much each symbol is worth when it lands in the right places, with the playing card 9, 10, J, Q, K and A taking up the lower end of this table and picture symbols of a jade pendant, treasure chest, dragons claw around a pearl and a distinguished-looking Chinese gentleman being the more valuable ones. The colourful dragon head is a wild symbol which will act as all but the scatter to complete winning lines, plus it will trigger a Remix feature when 3 wilds appear on the fifth, or right side reel at once. This sees the reels shuffled around to form a new winning combination. A gold-leaf with some Chinese writing on it acts as a scatter symbol, although it’s somewhat mis-named here as it will need to be on sequential reels to bring in a prize, rather than scattered around as it suggests. However, those wins are multiples of the total bet, rather than the line bet that other symbols are worth. Just 3 scatters are enough for a 2x payout, while 4 or 5 equal wins of 10x and 40x the stake, which are closely followed by the launch of 7, 10 or 15 free spins, depending on how many appeared. During these spins, players will be treated to a couple of extra wilds on the fifth reel to help trigger the Remix. Any win, apart from jackpots, can be gambled, with players able to turn smaller wins into much bigger ones if they are lucky enough. They can double the triggering win by correctly guessing if a playing card will be a red or black one, while picking the right suit quadruples it, with any successful pick giving them the further option to collect the win or gamble it over and over until the limit is reached. These games are notoriously tricky to come out ahead on, so it’s often good advice to only gamble smaller wins which won’t be missed if an incorrect pick is made at any stage. 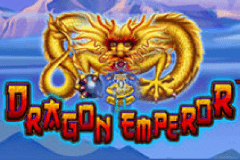 Dragon Emperor may be somewhat derivative of other pokies that follow a similar theme, but they are successful for a reason and there’s plenty of room for more games to join their ranks. This particular example is nicely designed, with lots of red and gold accents to the reels and symbols, although it’s a shame the playing card symbols are just a standard design. The 243 ways to win format can lead to a higher frequency of winning spins, but the trade-off of course, is that those wins may be of lesser value, which some players will like and others be put off by.